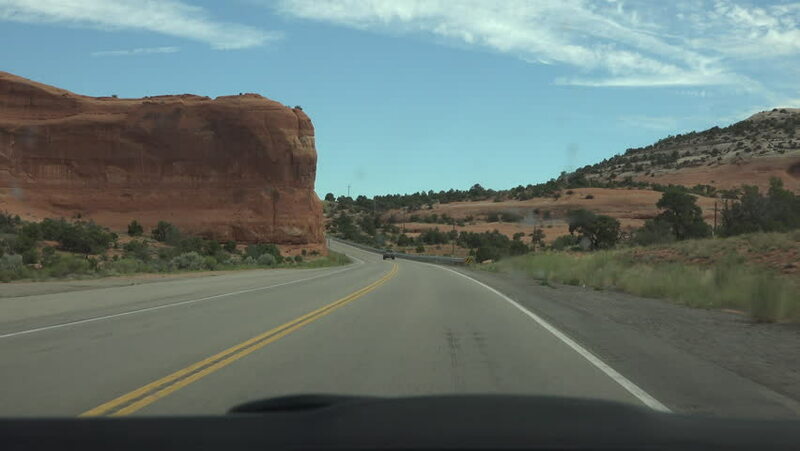 MOAB, UTAH - JUL 2015: Red Rock desert POV driving through window 4K. Point of view. Famous for red rock scenic landmark and recreation destination. Containing over 2,000 natural sandstone arches. hd00:10GALLUP, NM/USA: May 10, 2015 - Viewpoint of vehicle and driver being passed by a police car on Interstate 40. Point of view driving shot of a squad car zooming by. hd00:15Rocky road in the mountains of Colorado. hd00:18View from windshield on highway leading to the Dead Sea through desert turning right.